This is a fantastic opportunity to live IN the vibrant town of Evergreen with amazing views of Mt. Evans. 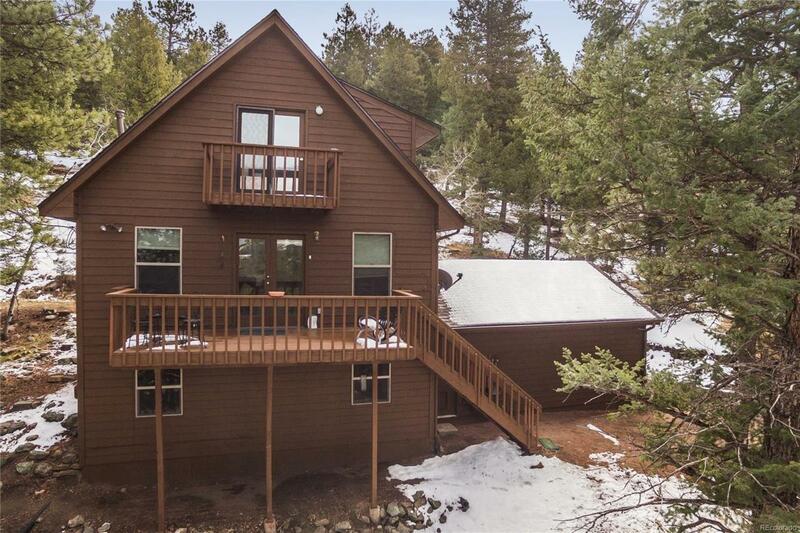 Tucked away on a serene and private 2.32-acre lot with a beautiful mix of ponderosa, spruce and aspen trees. This home has been well maintained and updated with newer windows, new roof, new exterior paint and new well pressure tank. Enjoy the nearby extensive trail system around Evergreen Lake which adjoins open space parks and Denver Mountain Park land to the pedestrian-friendly town. The property is near amenities like the library, many restaurants and brew pubs, shopping, golfing and banking, or you may choose to stay home and stream movies on the super-fast Comcast high-speed internet connection.